CES 2019: Is today's long range lidar demo tomorrow's self-driving car? 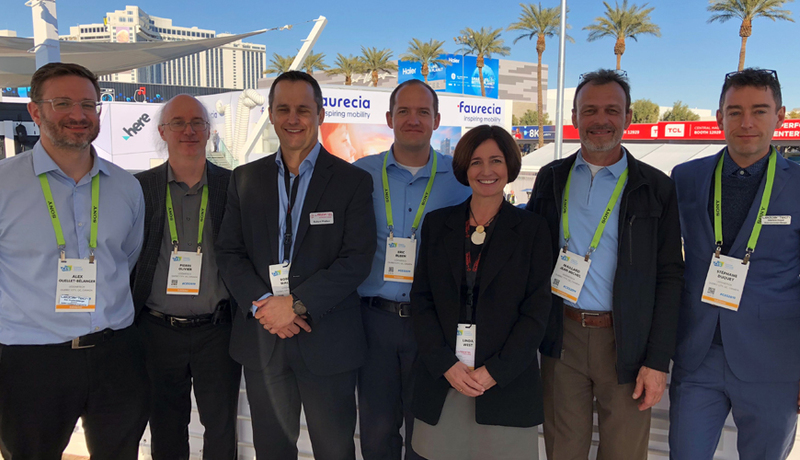 Our team recently returned from another year at CES in Las Vegas. Similar to last year's show, we came back inspired by the innovative technology and advancements in the consumer technology space. We saw vast uses and applications for machine intelligence, AI, robotics and cameras galore! Remember the old carnival game of guess your age or weight? They have cameras for that now! There were tools that did 3D mappings of people on large stages, utilizing lasers. Attendees wandering the show floor had age range determined by a camera and got to explore the latest advancements in recognition software. 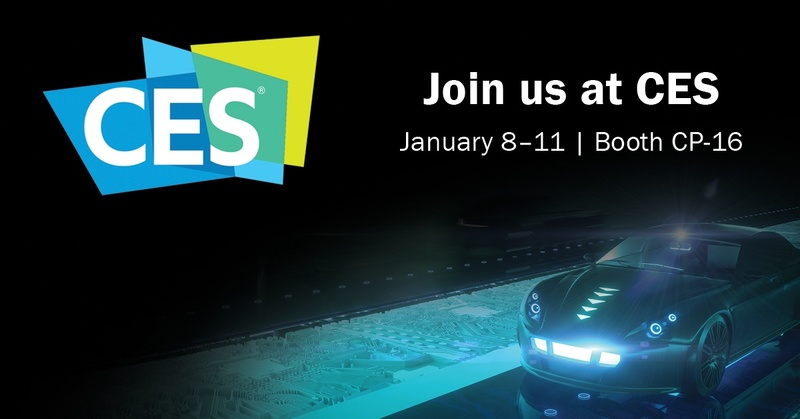 Lasertel will showcase our integrated drive electronics and laser sources for automotive LiDAR applications at CES 2019. 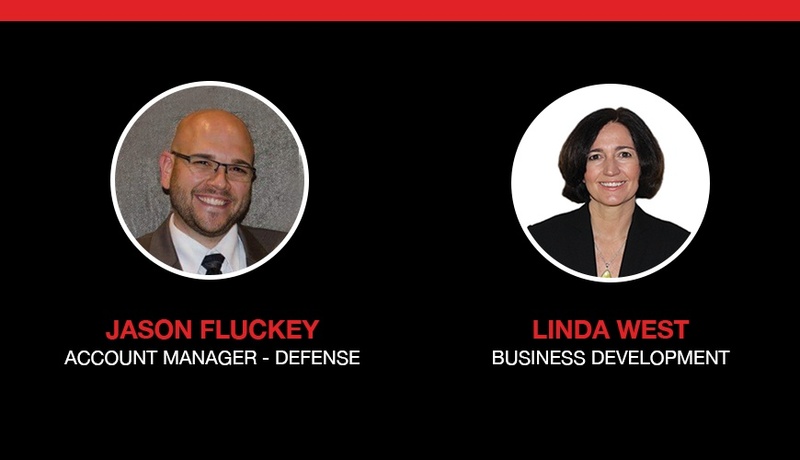 You can find our team in the LeddarTech Pavilion (CP-16) throughout the show, January 8 – 11 in Las Vegas, Nevada. 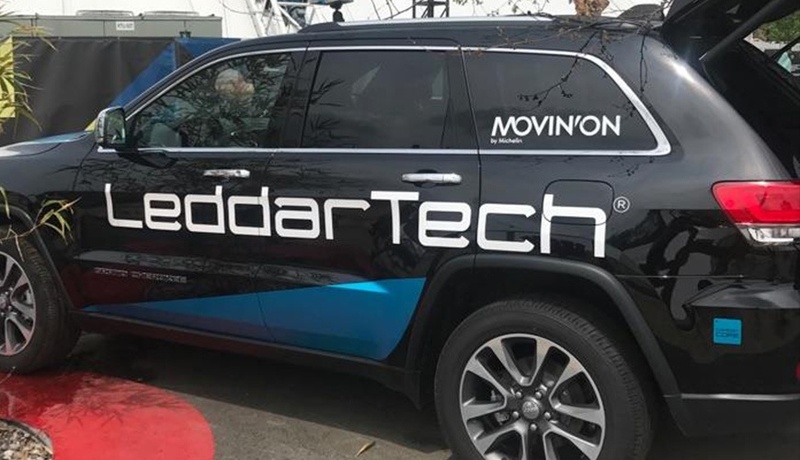 At this year’s Movin’ On, a conference Forbes calls, “SXSW meets CES meets NAIAS, but with a French flair and cutting-edge staging and production”, attendees witnessed tomorrow’s mobility solutions. Mass transit, electric boats, and ride-and-drive concept cars from Tesla, BMW, Honda, Nissan and others—the event promoted innovation and collaboration between startups, emerging growth and Tier 1 companies. XPONENTIAL 2018, AUVSI’s annual conference held in Denver, Colorado, earlier this month, provided a valuable cross-section perspective of the latest in unmanned vehicles and their emerging applications. Last year there was a general interest in autonomous vehicles, with automotive technology well-represented on the trade floor, as well as tremendous interest in technical papers, including our own, Increasing Field of View and Reducing Costs in Lidar. This year was almost exclusively airborne platforms, although there was still an interesting array of ground and aquatic vehicles, including a ‘transformer,’ with air and land operation. 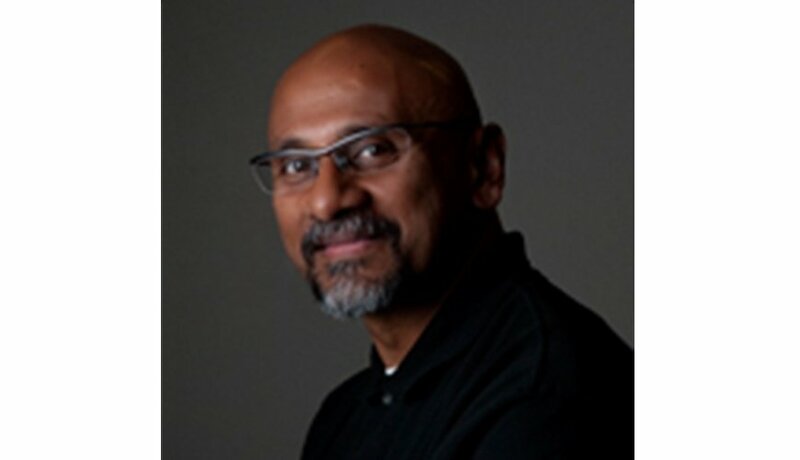 Dr. Prabhu Thiagarajan, Lasertel’s VP of Engineering, is working with some of the leading automotive companies and system integrators in the market to bring the driverless vehicle to widespread adoption. 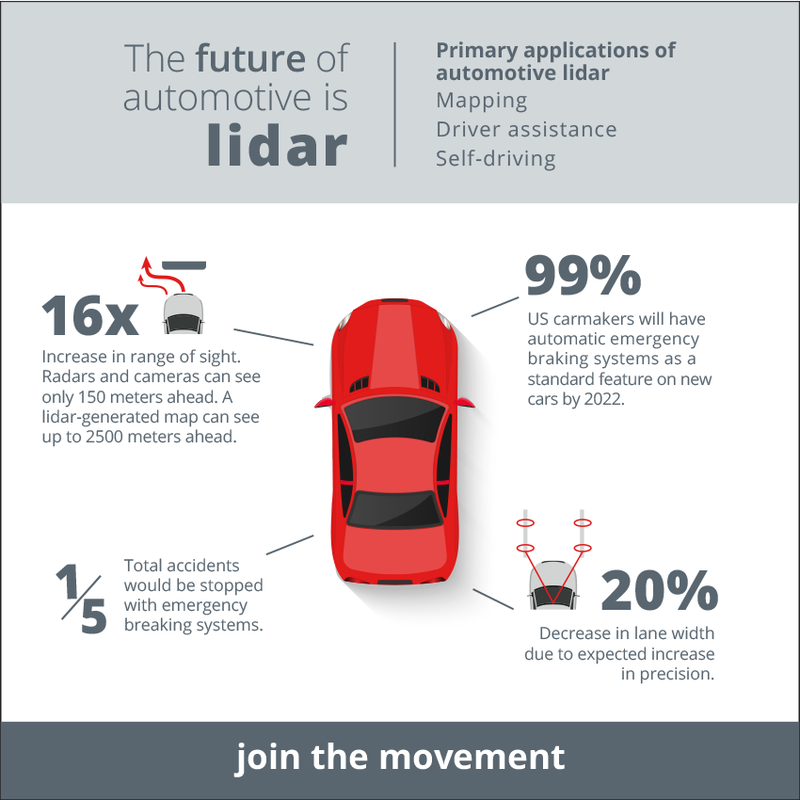 Radar and lidar are two technologies that appear in current driver-assistance hardware. 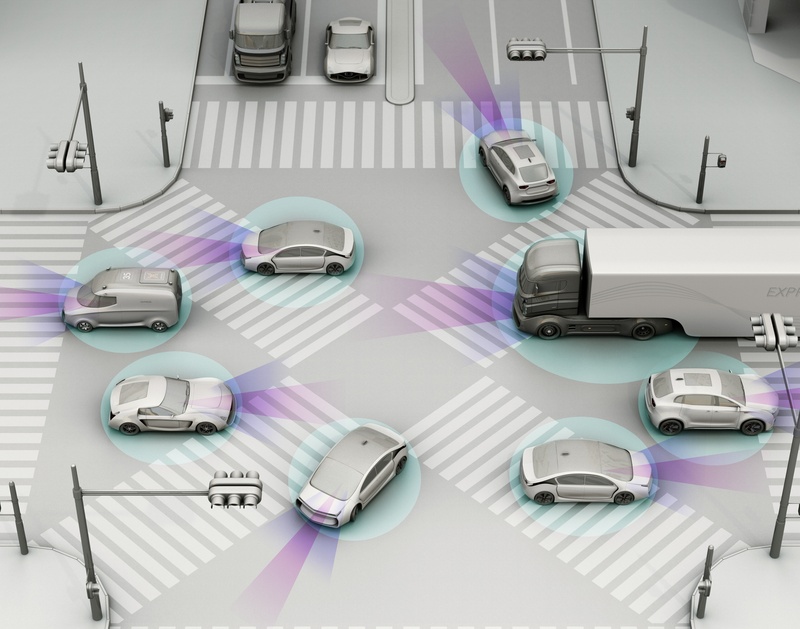 Autonomous driver assistance systems increase a driver’s awareness of surrounding factors that present safety risks. Both work on the principle of measuring the “time-of-flight” of an electromagnetic wave from the moment it leaves the source to the moment the wave is detected by the sensor, after having reflected from any objects in the foreground. 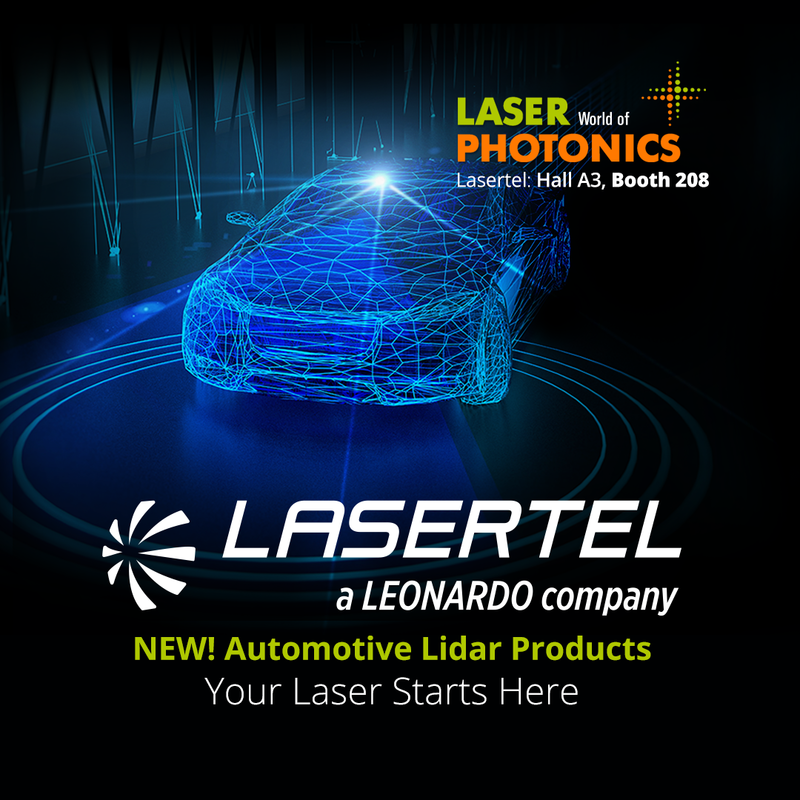 Tucson, AZ — Lasertel, a Leonardo company and leading U.S. supplier of custom laser diodes, is proud to announce the release of two new direct diode laser illuminators. The laser products are engineered for short and long range lidar (light imaging, detection, and ranging) systems for self-driving cars. 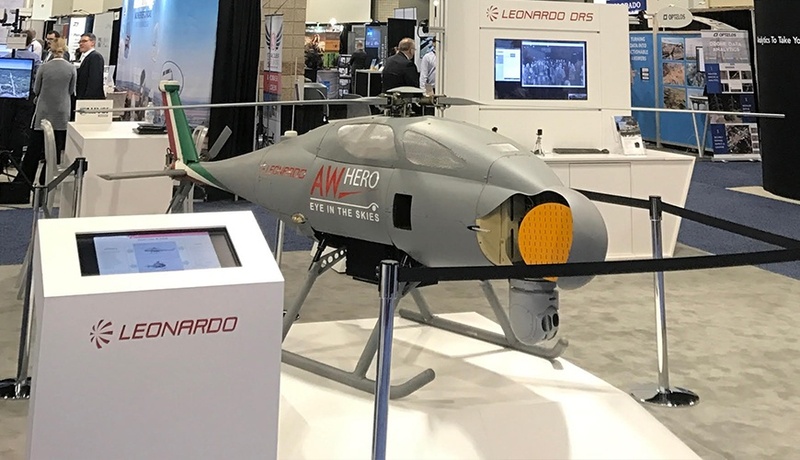 This past month, thousands of attendees converged at AUVSI XPONENTIAL, the prominent unmanned vehicle conference and exhibit. Lasertel’s Jean Michel Maillard presented a technical talk, Increasing Field of View and Reducing Cost for Laser Sources for Lidar, and met with system integrators in both automotive and UAV to better understand emerging demands for laser systems.